People today don’t know what a real car is. All these younger kids and their pocket rockets. 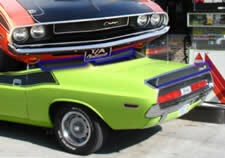 I can say from first hand knowledge that the 1970 Dodge Challenger T/A is one of the finest muscle cars ever built. It’s impressive not only from performance, but looks, comfort and sound as well. Only 2,543 were ever built, making this a rare classic! My Dad and I have an original 70 T/A with a 4 speed. Love it. Need to restore it soon. I wanted a T/A when I got home from Vietnam in late Jan. 1971 . But you couldn’t order the 340 Six Pack T/A any longer . SO I purchased a new 1971 Challenger 340 R/T with automatic . In Feb. 1971 I think . That spring I found a T/A in a local salavage yard . That had hit a power pole . The engine was gone . 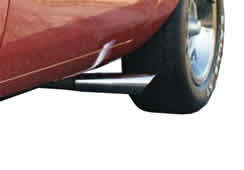 But I got the rear spolier and wheels. Along with the light weight rear bumper . That was alloy not steel. My R/T had the wood grain steering wheel with horn button and covering on the three spokes that matched the interior of the car. I’ve seen some with more a rubber rim and alloy spokes. . What steering wheel came on the 71 or did they change them ? I am looking for an “affordable” T/A, I had one about 30 yeras ago and want another. If you have one reasonably priced please contact me. Thank you. Mike, I believe I remember your T/A. Although they were rated at 290 HP, we all know that was a real modest rating. Don’t you wish we could go back a few years… I would love to have my 70 GTO back. Currently I have a 2012 Challenger on order. Once the car arrives, I plan on adding the T/A hood, stripes and spoiler decal. I had one when I was 17 and I have many great memories of the car and in the car. I have always wanted another and have looked for many years and finally found one and bought it yesterday. All I can tell you after 4 decades, it still puts a big smile on my face. I own a 1970 T/A Challenger with original motor and transmission. It’s a rare FY4 color (Tan/ gold color). My brother owns a 1970 T/A Challenger with original motor and transmission that is orange and he also owns a 1970 AAR Cuda that is orange. Woah this specific weblog is very useful i really like looking at your content. Sustain the truly amazing paintings! You recognize, many persons are seeking all-around due to this information, you might make them drastically. I’m the original owner of a 1970 Dodge Challenger T/A. My car has the number “5” scribed on a few areas of the engine block and on a tag on the top of the driver’s side fender. Does anyone know what this number is suppose to signify? 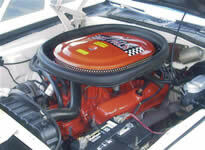 I HAVE A 1970 CHALLENGER T/A THATS UNDER RESTORATION FOR 6 YEARS.COST TO DATE IS 60,OOO AND COUNTING. I HOPE TO FINISH IN 2YRS.COLOR IS TOP BANANA, BLACK INTERIOR,4SPEED. Hi there,I read your new stuff named “Dodge Challenger T/A : High Performance Racing Challenger” regularly.Your humoristic style is awesome, keep up the good work! And you can look our website about proxy server list.